Brand new reproduction filters. We had these filters manufactured, using a set of originals as a pattern. 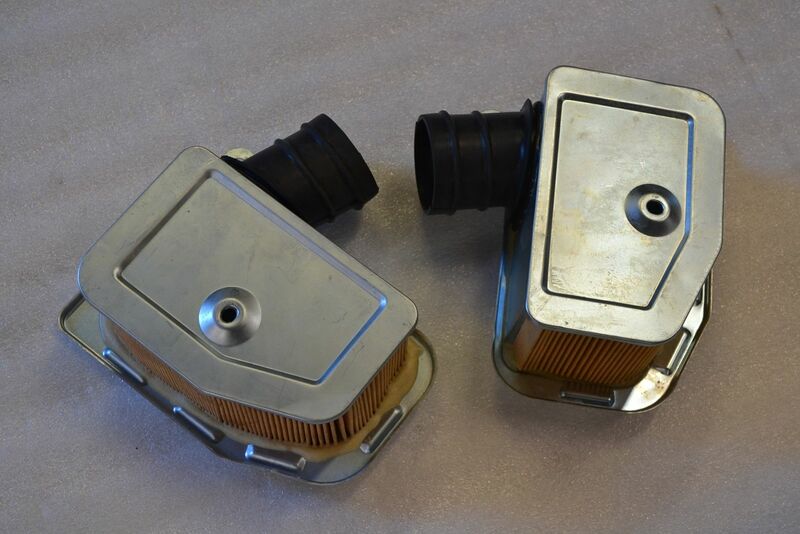 Filters for the later CB/CL450 will be available also but those are still in development. 83XLX, middletons and Lefty like this. Saw those recently. Great idea! I bought a set of these and they are a very good replica. My cb450 k1 runs perfectly again (always had issues with foam uni filters at full throttle). However, the rubber boots are not angled perfectly and have a slight kink to make them fit on carbs. I had to clamp them on the carbs first and then push the air box into place to get them to work. I'm still thrilled to have a replacement! Thanks for making these! Any idea if the these k4 and below filters will bolt into a k5-k7? 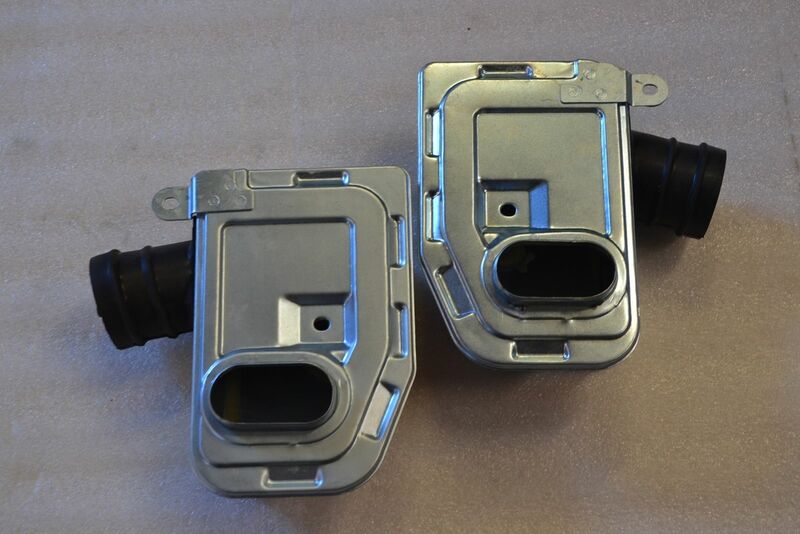 What is the big difference between the k4 and k5 wrt air filters - The Plastic housing/different metal filter interface? They would bolt on but the plastic housing on the later bikes would not be a good fit. You could use plastic covers from an earlier models and everything would work fine.